Comment: replace existing insulation in basement and attic. Also looking a drop ceiling for basement. Comment: We are having the siding replaced on our home and they are demo-ing the old siding April 1-5, so I'd like to have the insulation updated while we have the siding off. Comment: Blown in insulation in walls from inside before 3/8 blueboard is added to existing sheetrock. Comment: Remove old fiberglass insulation from basement ceiling. Replace with rodent-resistant reflective insulation. West Yarmouth Insulation Contractors are rated 4.88 out of 5 based on 10 reviews of 1 pros. 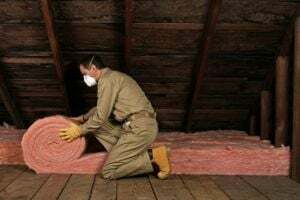 Not Looking for Insulation Contractors in West Yarmouth, MA?